Hands free for faster and safer work.Holds all the tools you need for window cleaning the washer, up to two squeegees, a scraper and the essential cleaning fluid.can be used by both right and left handed workers.every tool within reach. 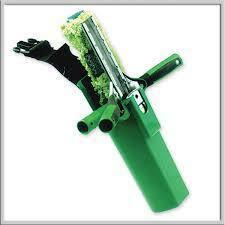 We have presented a range of window washers which are used for window cleaning, floor cleaning, carpet cleaning etc. Backed by rich industry experience, we are supplying different kinds of House Keeping like phenols and wipers. Available in various designs, color combinations & textures, our range is standards to executive price range. We also make use of safe chemicals, latest technology and other equipment to carry out the housekeeping services in the most perfect way. 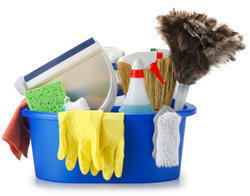 We have wide range of Housekeeping Materails Not only selling product and also suggesting right tools for Cleaning Task. Tangy partners directly with the OEM's , its principles and super stockists to ensure the best in quality and price. In addition to all the above mentioned marquee products, we also cater to the requirement of other house-keeping products -- Scrubbers, Mops, Sweepers, Room Sprays, Floor Brush, Toilet Brush, etc. The right supplies make a huge difference in how efficient and effective your cleaning routines are. Find out how to choose the right supplies, which products to avoid, green cleaning options, the best products for each chore, and real time saving gadgets that will help in your Office & Home. All Type of Cleaner, Garbage Bags, Tissue Paper & Rolls, Air Fresheners, Toilet Fresheners, Road Brush, Scrubbing Pads, paper cups.